The logic is rather simple. Russia has very large natural gas reserves. Russia has even larger shale reserves but these have, deliberately, not been developed yet. Russia has a very large investment in the transport of natural gas to Europe. Gazprom policy is to maximise returns on natural gas before developing shale reserves. The return to Gazprom is maximised if Europe does not develop its own shale reserves and instead increases its dependence on Russian gas. It is not at all surprising then that the anti-fracking movement in Europe is both funded and covertly directed by Russia. The biggest success for the Russian campaign was in 2014 when many European countries succumbed to the Russian-backed, “environmental” lobbies and banned fracking. 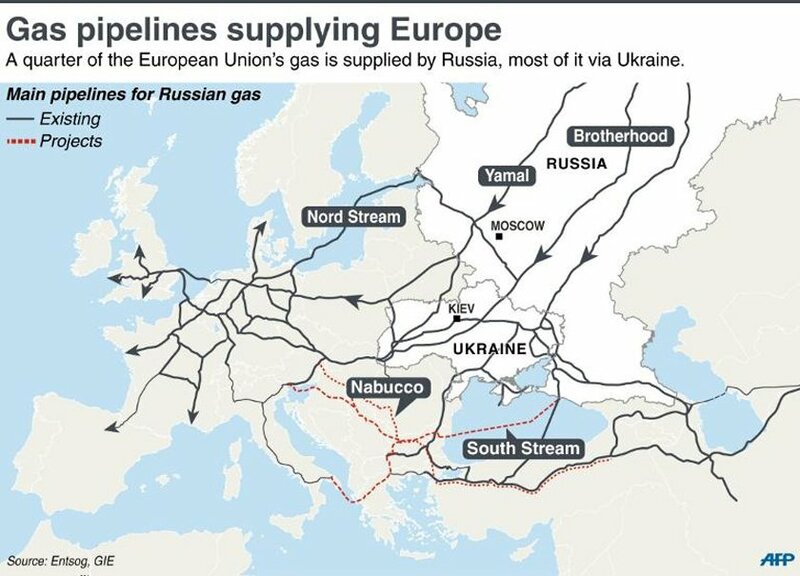 And Gazprom’s exports to Europe continue to increase steadily. Since 2014 annual exports have grown from about 145 to 190 billion cubic meters. Before it was revealed publicly, members of the Sierra Club, et al., were likely clueless that Putin and the Russians had been funding their anti-fracking initiatives. Russian gas exports to Europe are at record levels. 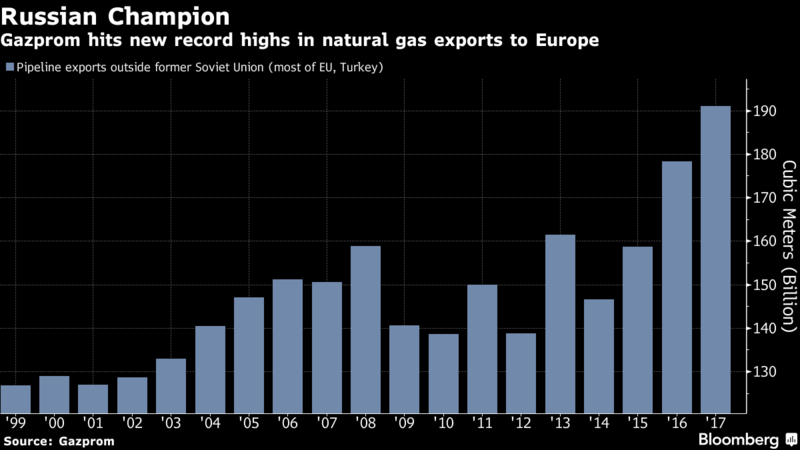 Russia is working to keep natural gas exports to Europe near record levels in 2018 after the continent’s biggest supplier, Gazprom said its deliveries this year signal it is achieving on its ambitions to expand. The state-controlled gas giant plans to ship a minimum of 180 billion cubic meters next year, Deputy Chief Executive Officer Alexander Medvedev said in an interview in St. Petersburg. That volume would be the second highest ever after at least 190 billion cubic meters expected this year, which is a record. Gazprom meets more than a third of Europe’s demand for natural gas, Russia’s biggest and most lucrative market worth some $37 billion in revenue this year. Tighter trade links with the Kremlin-backed company contrast with increasing tensions on the military and political front. This entry was posted on January 13, 2018 at 10:27 am and is filed under Gas, Geopolitics, Oil. You can follow any responses to this entry through the RSS 2.0 feed. Both comments and pings are currently closed.